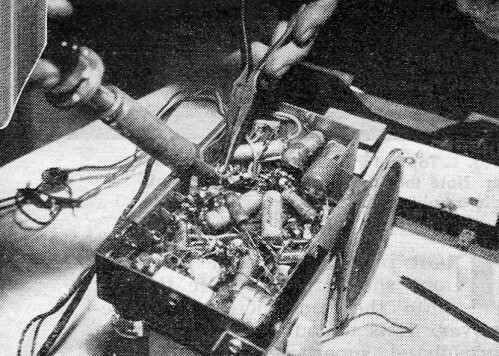 Selenium rectifiers were the first widely used replacements for vacuum tubes in commercial electronic equipment. 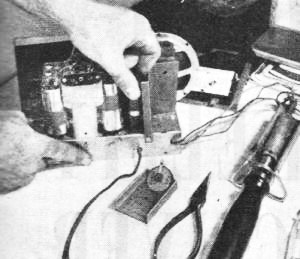 Since amplification was not possible - that came in late 1948 with the invention of the transistor, compliments of Shockley, Brattain and Bardeen - diode action in AC-DC power supplies was its primary application. Typical reverse breakdown voltage is in the neighborhood of 20 volts and current handling capability depends on the interface surface area. 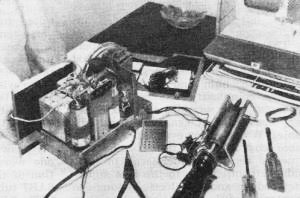 Cost kept the selenium rectifiers from being widely adapted early in their history (1933), but by 1946 when this article was published it had dropped enough to make their use economical. 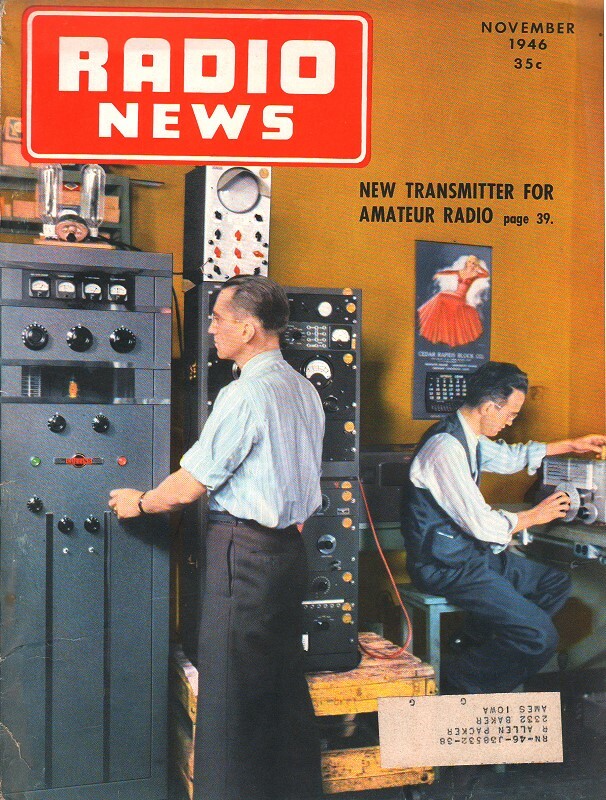 Eliminating one or two vacuum tubes in a radio or television power supply made the sets more efficient and increased reliability since the selenium rectifiers rarely suffered failures if designed into the circuit correctly. See also After Class: Working with Selenium Rectifiers, The Semiconductor Diode, New Selenium Rectifiers for Home Receivers, Selenium Rectifiers, and Using Selenium Rectifiers. Field Eng., Federal Telephone & Radio Corporation. Selenium rectifiers have been designed to replace all conventional types of rectifier tubes used in home receivers. Fig. 1 - Typical portable receiver used to illustrate step-by-step installation of selenium rectifier. 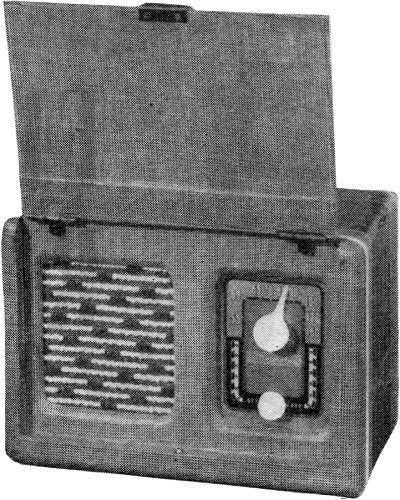 Markedly improving the performance of home receivers and completely trouble-free, the new miniature selenium rectifier stack, developed by Federal Telephone and Radio Corporation, Newark, N. J. means more "customer satisfaction" plus increased profits to the up-to-the-minute serviceman. 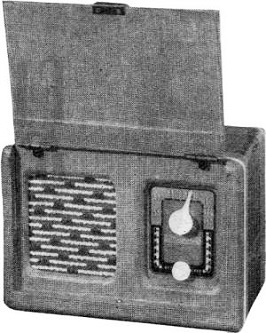 One of the first advancements made in home radios since the end of the .war, this stack replaces all conventional rectifier tubes, is simple to install, and is guaranteed to outlive the receiver, thereby ensuring a minimum of power supply failures. With competition in the service field mounting, this latest development should provide a "shot in the arm" for many alert radio repairmen for it has such excellent selling points, such as instantaneous starting for both a.c. and d.c., less heat, longer battery life (in portables), improved tonal quality, trouble-free power supply operation, pilot light failures reduced to a minimum, and more audio output (in 35Z5 circuits). In every case this new type of rectifier means customer satisfaction. Fig. 2 - Chassis is withdrawn from cabinet and rectifier tube removed. Only four tools are needed for complete conversion. Selenium rectifiers have been used in electronic circuits for many years but due to their relatively high cost and large space factor they were not used in home receiver rectifier circuits. However, by virtue of a new process developed by Federal, this cost and space factor has been reduced to the point where use of the miniature selenium rectifier is entirely practical. The rectifier stack has two distinct poles, positive and negative, corresponding to the plate and cathode of the vacuum tube and can be inserted into the circuit as such. The positive side, denoted by a "+" sign, is equivalent to the cathode while the negative side functions as the plate. 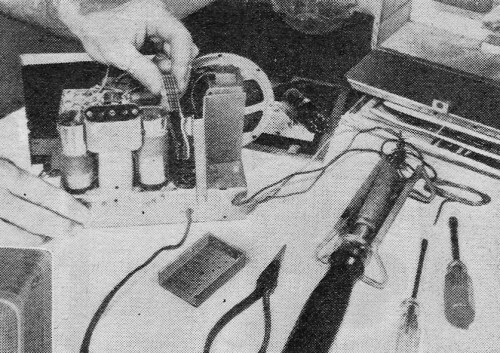 Soldering the stack into the set in this manner constitutes the entire replacement operation unless the filament of the tube was linked to other parts of the circuit, in which case a resistor is used to replace the rectifier tube filament. Fig. 3 - Two extension leads are soldered on the selenium rectifier lugs. Positive side is shown by red wire, negative by yellow or black. Installation of the miniature #403D2625 selenium rectifier can be made right in the customer's home as indicated in Figs. 1-6. The set shown is a typical three powered portable using a 117Z6 rectifier. As is evident from the schematic of the power supply (Fig. 7) the filament of this tube is not interlocked with any other component in the set. 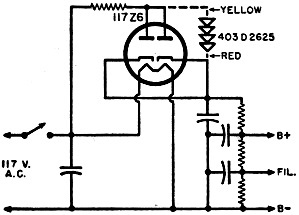 Therefore it is only necessary to insert the stack into the circuit along the lines outlined in the previous paragraph. Solder the positive side to the cathode terminal on the tube socket, the negative side to the plate terminal, and the installation is over. Only four tools are required to perform the entire 7 minute operation, a soldering iron, screw driver, socket wrench, and a pair of long nose pliers. 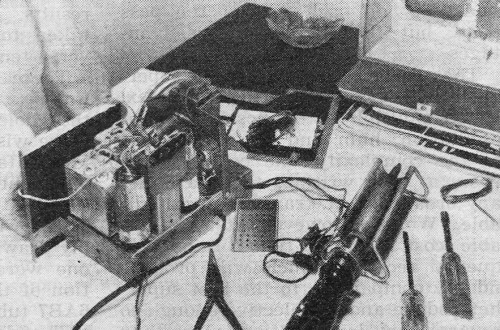 First the chassis is withdrawn from the cabinet and the tube is removed from the socket (Fig. 2). Extension leads are then soldered on the rectifier stack. It is recommended that the positive lead be covered with red wire so as to distinguish it from the negative lead, which is usually made yellow or black (Fig. 3). Fig. 4 - Here the leads are soldered on to the appropriate pins. The red wire goes to pin 4 while yellow or black wire. whichever is used, is soldered to pin 5. At this point it should be noted that, whenever possible, the stack should be installed underneath the chassis. However, in this case, as is the case with many portables, though the stack is only 1 1/4" x 1 1/4" x 11/16", it did not fit underneath the chassis and was inserted from above in the space that was formerly occupied by the tube. In this latter case some type of protective covering must be provided. Fig. 4 shows the leads which were drawn through center of the tube socket and soldered to the appropriate pins, the red lead to the cathode terminal and the yellow one to the plate terminal. The set is then turned on and if the rectifier has been installed correctly, it should start operating immediately, (Fig. 5). Finally a protective covering, which is supplied with the rectifier, is placed around the stack and tightened to the chassis via a screw and nut (Fig. 6), The chassis is then put back in cabinet and the job is done. Fig. 5 - Rectifier operation should now be checked by turning the receiver on. The set should operate immediately without the customary warm-up period. After insulation of the rectifier, check filament voltage. If this is too high for normal tube operation, insert a 27 ohm resistor in the line just before the rectifier to bring the operating voltage of the filament back to normal. Three operational improvements have been achieved with the installation of this rectifier. In the first place, since rectification is now immediate, the set operates as soon as it is turned on, in contrast to the filament warm-up period previously required. Secondly, in view of the low internal impedance and high efficiency of the stack, the ambient temperature of the set is reduced by approximately 35° F. which results in increased battery life. Finally, the long life of the selenium rectifier means that power supply troubles are reduced to a minimum. Federal has developed replacement sheets covering every possible power supply used in home receivers, which give specific, easy-to-follow instructions, on what steps are necessary to install this rectifier. These sheets are available to all servicemen and can be obtained by writing to Federal Telephone and Radio Corporation, 200 Mt. Pleasant Ave., Newark, N. J. Fig. 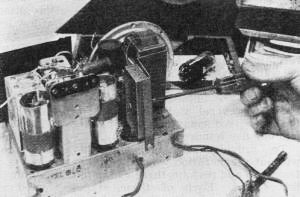 6 - Final operation consists of tightening rectifier to the chassis and placing shield over it. Chassis is then returned to the cabinet with conversion completed. Fig. 7. Schematic diagram shows method of substituting a selenium rectifier for a conventional 117Z6 tube.